This is the page to book tickets for the Sunday matinee shows only. Yes folks, it’s Panto time again. 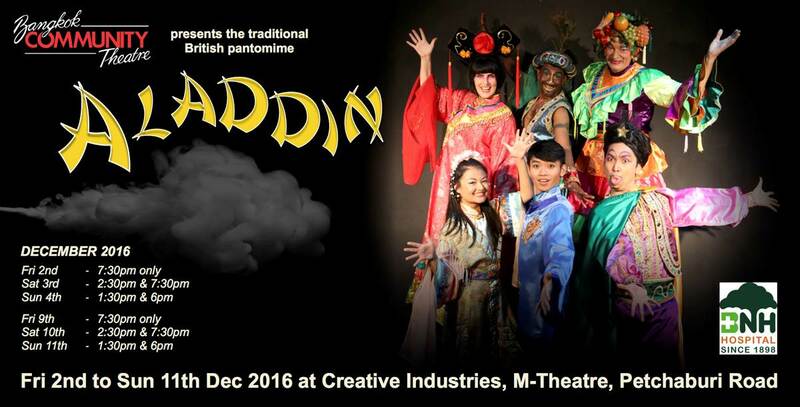 After the rip-roaring success of Cinderella in 2014, this year Bangkok Community Theatre will be performing the traditional British pantomime Aladdin over the first 2 weekends of December 2016 at Creative Industries @ M Theatre on Petchaburi Road. If you haven't heard of this ever popular form of entertainment, British pantomime is nothing to do with “mime”. It is a non-stop, fun packed show with lots of over the top acting (if you can call it that), singing, dancing and comedy. It’s a crazy, chaotic, fun-packed couple of hours of entertainment beloved by the young and young at heart. We recommend the show for children over 4 years of age, however some younger children may enjoy it as well. We kindly ask parents to think carefully about whether their toddler will be comfortable sitting in a dark theatre full of 100 strangers shouting “Oh no he isn’t!” or booing the villain at full volume. Anyone with a ticket is welcome, but we encourage parents to make the right choice for their children. Please note that everyone who attends the show must have a ticket regardless of age. Full-price tickets are 950 Baht. Student tickets for children under 13 at matinee performances only are 700 Baht. The ticket price includes a drink and a mince pie! Over the last couple of years, many BCT regulars have asked if we can make it easier to buy tickets to our shows. We hope that One Place will be a convenient solution for everyone. 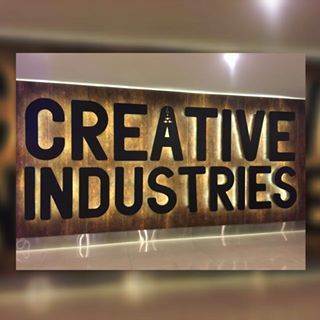 - A booking fee of approximately 7% will be added to all purchases. - We are unable to offer refunds, so please plan carefully when purchasing tickets. - If available, tickets may be sold at the door with a surcharge of the online booking fee. We strongly recommend booking online to avoid disappointment. You can book tickets for Sunday matinee performances through this page. One free drink and mince pie with every ticket!